Approximately 1 3/4" in length. 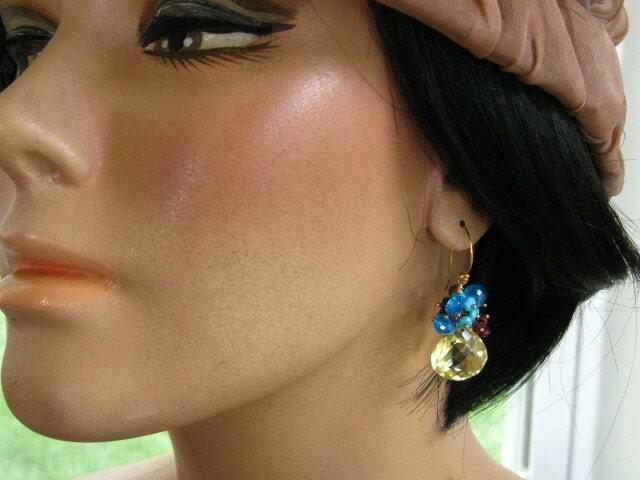 24kt *vermeil earwires and headpins. 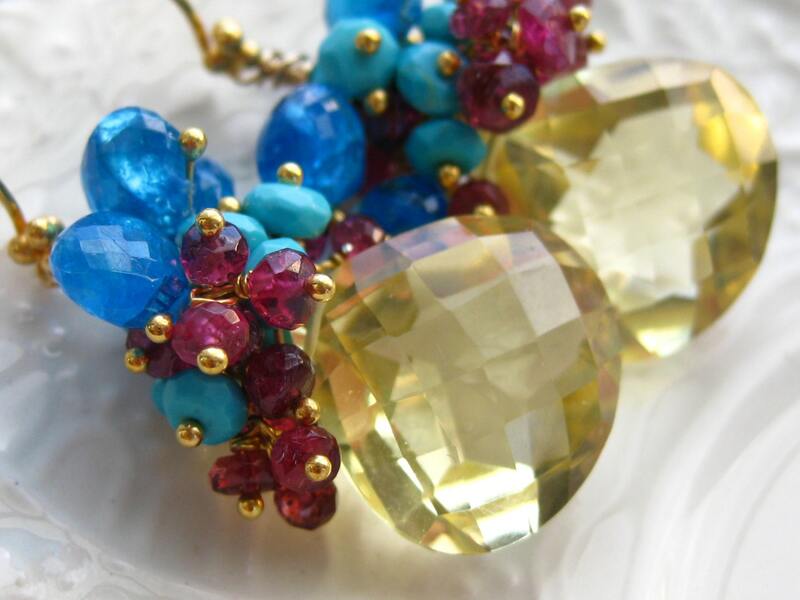 Your "Tropical Punch" earrings will ship USPS Priority Mail with tracking in the US, and will be packaged in a lovely gift box tied with ribbon. *What is vermeil? Vermeil must meet the FTC standard of 100 millionths of an inch (2 ½ microns) of fine gold layered over sterling silver. In order for a piece to be labeled legally as "vermeil", the item must not be less than 10 karat gold and have a substantial thickness, with a minimum thickness of 2 ½ microns. 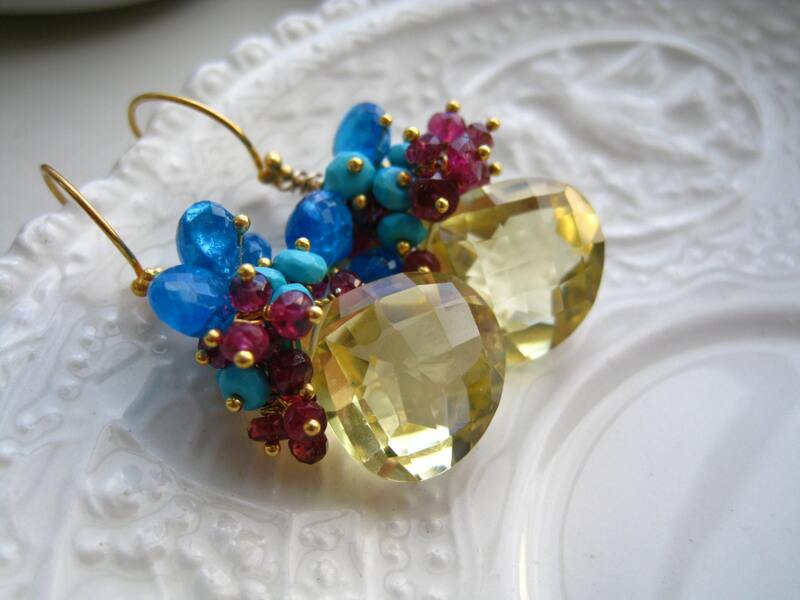 A Vermeil piece of jewelry is made entirely of precious metals, which gives the piece an intrinsic value.